Shura: “I’m also super excited to share with you the Four Tet Remix of Touch which you can also listen to as of today. WOO.” Pre-order Shura’s “Nothing’s Real” LP here. With production from Mercury-nominated Dan Carey (Kate Tempest, Bat For Lashes, Toy), “Priestess” is a bold and bewitching introduction to Pumarosa. Building in momentum and atmospheric textures across 7 and half minutes, “Priestess” assimilates a strange mix of sounds, simultaneously drawn to the brooding, heavier songwriting of PJ Harvey or Patti Smith together with the groove-led and nocturnal electronics of The Knife and Cocteau Twins. 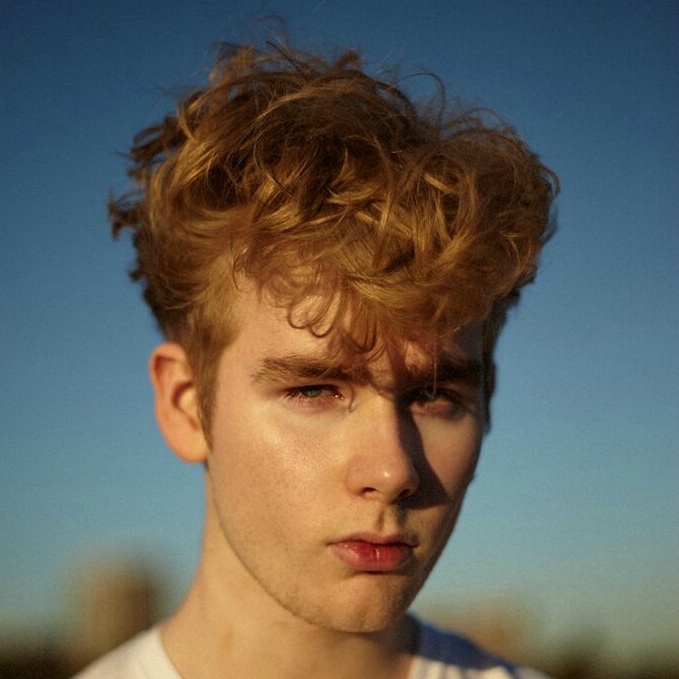 Mura Masa has unveiled new single ‘Love For That’ – featuring Shura – which launched as Annie Mac’s Hottest Record in The World (via Anchor Point Records). Quickly building an extensive audience – over 20 million plays on Soundcloud and 10 million across Youtube – Mura Masa plays a long-sold-out date at Village Underground on October 20th, before touring the UK and headlining the opening night of Pitchfork Paris on October 27th. Mura Masa is 19-year-old singer, producer and multi-instrumentalist Alex Crossan, whose idiosyncratic mix of global sounds can be traced back to an everybody-knows-everybody upbringing in rural Guernsey. After a childhood spent cutting his teeth at guitar, piano and drums in local bands, he turned his hand to producing electronic music – taking cues from the genre-hopping of Hudson Mohawke, the organic textures of Cashmere Cat, and the heartfelt songwriting of James Blake. Just two years ago, Alex began uploading tracks to Soundcloud, joining a generation utilising the limitless possibilities of the Internet in their approach to beat-making, and also building a fan-base which soon stretched far beyond the confines of his Channel Islands bedroom. He can’t quite remember where he clicked on the name Mura Masa – a fifteenth-century Japanese swordsmith whose blades are said to have induced bloodlust – but it’s proved a fitting alias for songs this razor-sharp. Recorded following a recent move to Brighton, new single ‘Love For That’ is another unpredictable turn from Mura Masa, blending rustic timbres (delicate strings, ornate flutes) and crisp beats in ways less-expected of club culture. With a melancholic guest-vocal from Shura, lyrically the track was inspired by the idea of falling – and staying – in love for the wrong reasons (it’s also the first song lifted from sessions for Mura Masa’s debut album, which he is currently writing and recording). With spring’s ‘Someday Somewhere EP’ – featuring Nao, Jay Prince and Denai Moore – leading to an early playlist at Radio 1, four tracks going Top 5 on Hype Machine and a 12-week stay in iTunes’ Electronic Top 10, 2016 should cement Mura Masa’s reputation as a prodigious emerging voice. Shura has premiered the video to forthcoming single ‘White Light’, as well as a brooding remix by Gabe Gurnsey of Factory Floor. ‘White Light’ will be released on July 24th via Polydor, and has already reached #1 on Hype Machine and received a Hottest Record from Annie Mac on Radio 1. With festivals to come at the likes of Latitude, Festival No.6, Bestival and Reading & Leeds, Shura’s UK headline tour – featuring her third ever London show at Electric Brixton on September 17th – is on sale now. A bold step out of the bedroom-based R&B balladry which has quickly won her an impassioned following, the surreal video to ‘White Light’ was filmed in Cheddar Gorge and partly inspired by Shura’s twin brother – who now takes a starring role in the clip. Lyrically, while ‘White Light’ in part explodes the personal out into a sci-fi fantasy, it joins former single ‘2Shy’ in embracing that social weirdness which ultimately makes you unique. 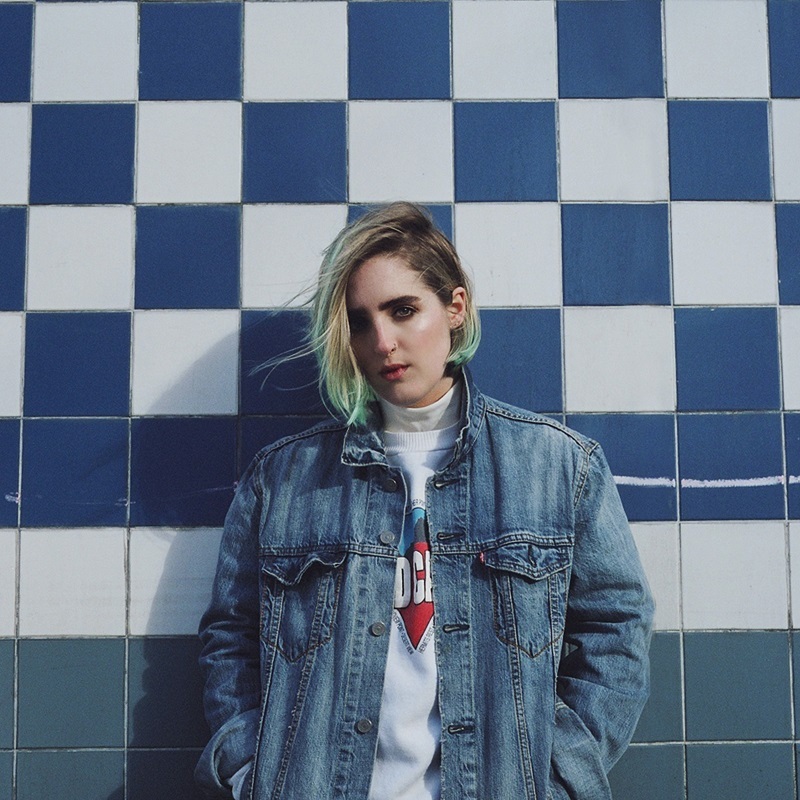 “It’s like someone’s taken something really shiny and rubbed it with sandpaper,” Shura says of her instantly-recognisable sound, which – if ‘White Light’ is anything to go by – continues to evolve from her parents’ colourful musical household (Dad’s prog vinyl, her brother’s drum-and-bass DJ’ing) to Shura’s own learning curve on the acoustic open-mic circuit. Shura is presently recording her debut album, ahead of the following live dates for the year ahead. Shura has announced plans for new single ‘White Light’, which premiered on Annie Mac’s Radio 1 show as Hottest Record in the World. This follows recent single ‘2Shy’, which was saw the Anglo-Russian singer and producer sell out her second ever London show (Village Underground), make the Radio 1 B-List, and receive unique interpretations from Warpaint (a rare remix) to Mumford & Sons (who covered ‘2Shy’ in the Live Lounge). With a Field Day slot to follow this weekend – and festivals to come at the likes of Latitude, Festival No.6, Bestival and Reading & Leeds – Shura will headline Electric Brixton on September 17th. Epic but intimate, ‘White Light’ is a bold step out of the bedroom-based R&B balladry which has quickly earned Shura an impassioned audience, instead combining Arthur Rusell-inspired disco and a love for the undulating psych-rock of The War On Drugs to entrancing effect. Lyrically, the track started out about Shura’s twin brother, before picking up the sci-fi thread which runs through her visuals to describe an alien first glimpsed in the ‘Mass Effect’ game. Ultimately, though, ‘White Light’ is simply about being different, and joins the likes of ‘2Shy’ in embracing the social weirdness which actually makes you unique. 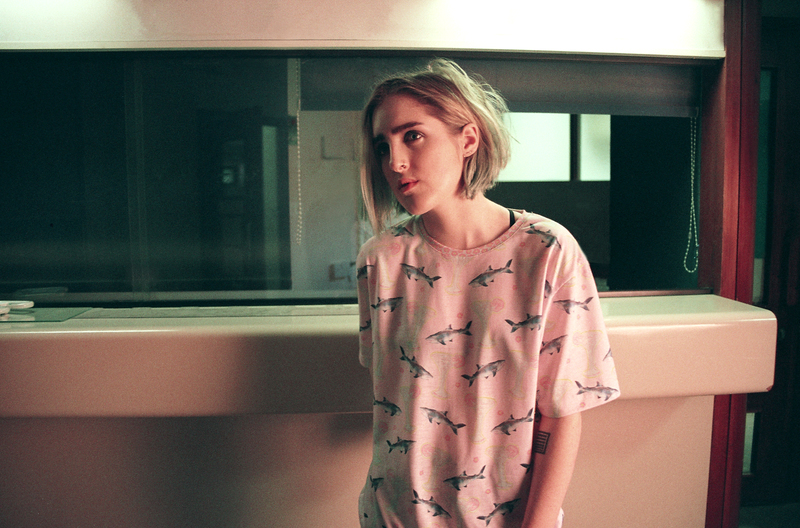 Shura has announced plans for new single ‘2Shy’. This follows a breakout finish to 2014 for Shura, with debut track ‘Touch’ and recent single ‘Indecision’ landing the Anglo-Russian singer a nomination for the BBC Sound Poll, an iTunes Top 10 and the In-New-Music-We-Trust list at Radio 1. Having sold out her second ever London show at Village Underground (March 25th), Shura has confirmed plans for a headline date at Brixton Electricthis September, with festival slots already confirmed at the likes of SXSW, Field Day, Latitude, Festival No.6 and Bestival (plus European dates with Hot Chip and ‘Indecision’-remixers Jungle). ‘2Shy’ is available now on iTunes and streaming sites via Polydor, with further remixes, live and video plans to be announced in the coming weeks. Arriving at the spaghetti-junction of a blossoming relationship, ‘2Shy’ is perhaps Shura’s most openly awkward, emotionally affecting but assured-where-it-matters composition to date. Slower and more stripped-back, there’s a blend of the gossamer-light, R&B torch songs of Mariah Carey with the homespun indie of Haim, shot through with a playfulness that will also think little about including a drum section inspired by Phil Collins. Pre-dating the break-up anthem of ‘Touch’ and the writing-on-the-wall of ‘Indecision’, ‘2Shy’ captures that more romantic, will-they-won’t-they frustration of a friendzone: “Let’s go find a corner we can sit in / And talk about that film instead of us / Even though throughout it, I was thinking / I was gonna say I love you afterwards.” This time, though, it’s just as much about your relationship with yourself, and those more universal insecurities (craving a cigarette, worrying about your outfit) which remain unsaid as you pass someone in the streets. Which is precisely what Shura did when she took to the Uxbridge Road with her Mum and recorded the noise of passers-by, gifting ‘2Shy’ the somewhat unique guest-feature of one man selling a QPR scarf. Shura has shared the official video for “Indecision”. Out now on iTunes http://po.st/SIiYd via Polydor. Below, you can also see a live video where the Anglo-Russian singer and producer performs the track at Radio 1’s Future Festival 2015. 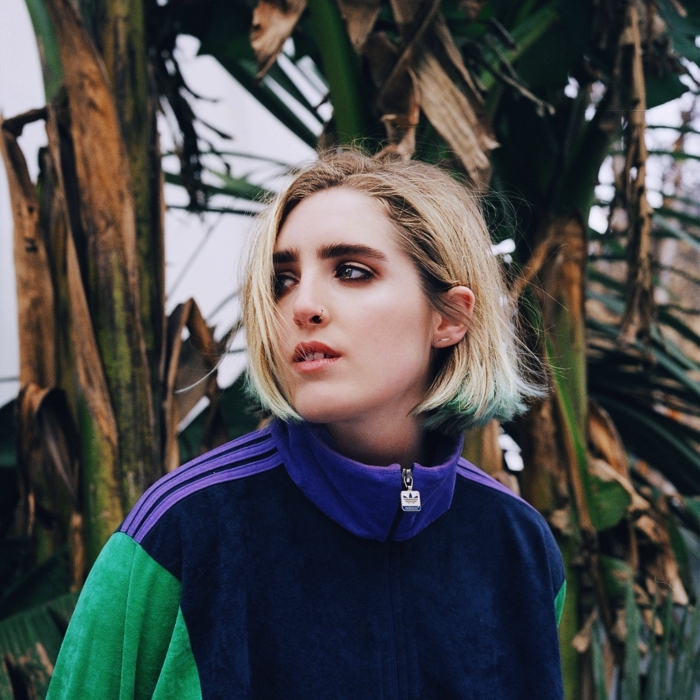 Shura has unveiled the Jungle remix of latest track ‘Indecision‘, fresh from her nomination for the BBC Sound of 2015 list. The Anglo-Russian singer and producer has also been confirmed for the Radio 1 Future Festival on January 13 (featuring the likes of James Bay and Years & Years) before playing the likes of Eurosonic, Sonar Stockholm and a March 25 headline date at Village Underground. With ‘Indecision’ added to the In New Music We Trust list at Radio 1, going Top 10 on iTunes’ Electronic chart and reaching #1 on Hype Machine, Shura is currently writing and recordings songs for her debut album, which will be released in the UK via Polydor Records next year. Shura has unveiled a brand new track, ‘Indecision’, in the build up to her keenly-anticipated debut live shows. Kicking off at Pitchfork Paris on October 29 – on a bill also featuring Kindness and Kelela – Shu’s “accidental European tour” also stops off at Iceland’s Airwaves festival, Amsterdam’s London Calling and Berlin’s Electronic Beats festival: a headline, homecoming show at London’s Studio Spaces on November 5 sold out in a day. Fresh from signing an album deal with Polydor Records, a limited edition, white-label 12″ vinyl for ‘Indecision’ will be announced shortly, together with further live, remix and video plans for the rest of the year. In ‘Touch‘, Shura established herself as one of the most stirring and resonant new voices in Pop: topping Hype Machine upon its emergence in February, earning fans diverse enough to include Jessie Ware (who Shura’s since remixed) and Chloe Moretz, and already approaching 3 million hits (despite no official release). This summer’s ‘Just Once‘ (ironically) repeated the trick, also gaining support across the likes of Radio 1 (Zane Lowe’s Next Hype, Annie Mac, Phil & Alice, Huw Stephens), 6Music and XFM. Shura’s third track, ‘Indecision’, is stronger still: the sound of an artist, producer and remixer on a singular path, at her own pace. More upbeat but just as emotive, ‘Indecision’ is deft, contemporary mix of twinkling, ‘Lucky-Star’-era Madonna with the bedroom-R&B grooves of Blood Orange, filtered through a haze of Balearic synths and swirling, Warpaint-inspired guitars. Lyrically, ‘Indecision’ falls in that appropriately messy middle-ground between the post-break-up anthem of ‘Touch’, and ‘Just Once’s’ bittersweet fantasy of fresh attraction: this is about having no clue where you stand in a relationship, and subsequently who you are as a person. In its breathy, anxious refrain, ‘Indecision’ simply asks your partner to call it, one way or the other (“Tell me why / we can’t make this work / it may be over but there’s something you should know / you’ve got my love boy, you’ve got my love”). The track was recorded in Shepherds Bush but features field recordings from the home of heartbreak-pop itself, Sweden (with the ambient sound of Stockholm streets echoing throughout, as if fading from memory). A performer, producer, remixer and video editor, Shura was born in Moscow to a Russian actress and an English documentary filmmaker. Her passion for music came via her brother, who would DJ drum-and-bass at the weekends, installing an early love of electronic music in his sister. Keen to impress him, Shura began building her own songs at University, though her songwriting would find its focus in South America, where she worked for an extended period after her studies – contemplating past relationships, and future music. Between working in The Amazon and walking pumas, Shura “came back less afraid to attack pop, and make it my own thing”: she began working as an assistant video editor, writing songs in the quiet night-shifts and recruiting her close friends to kiss on camera for the DIY but quickly-viral video for ‘Touch’ (they soon found themselves being turned into gifs, apart from Shura – who didn’t get to snog anybody). 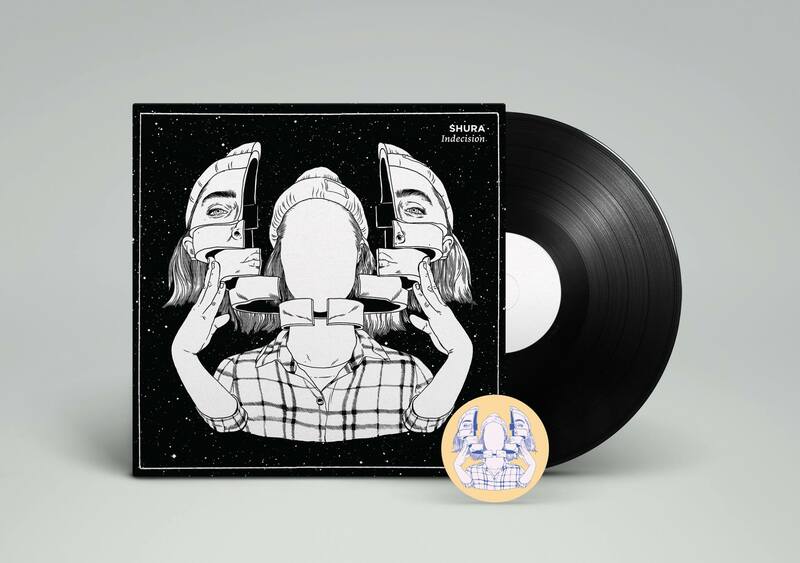 It’s this personal but playful twist on the often-luxurious classic R&B which will see Shura – for instance – base the ‘Indecision’ artwork on a scene from 1990’s cult-sci-fi-classic Total Recall (in partnership with illustrator Louise Pomeroy). Immediately-recognisable in both sound and sentiment, ‘Indecision’ is that next step from an artist who, despite it all, remains decisive in all the right places.